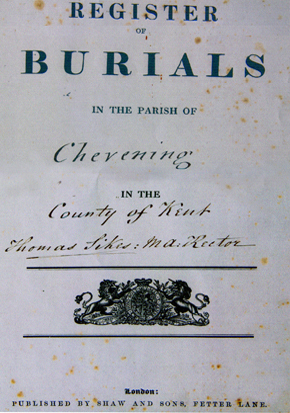 The small Hamlet of Chevening became the final resting place of Emily Musgrove and her daughter Alice. 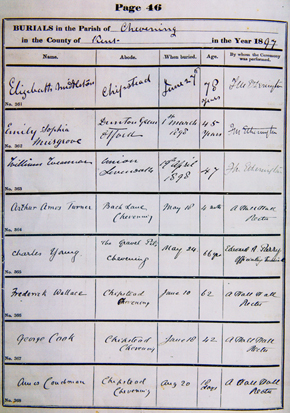 The Parish Register of Burials shown above records (left) Alice Janetta burial in 1895, and (right) her mother Emily Sophia burial in 1897. 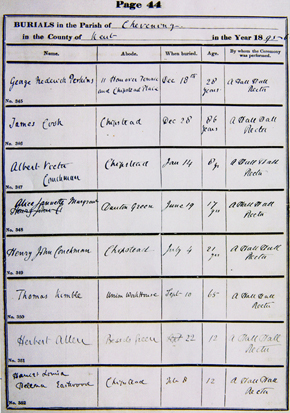 Click on each register image for larger picture. You will notice the huge disparity in ages of the various entries. Below is a map of the immediate area which dates from 1769. 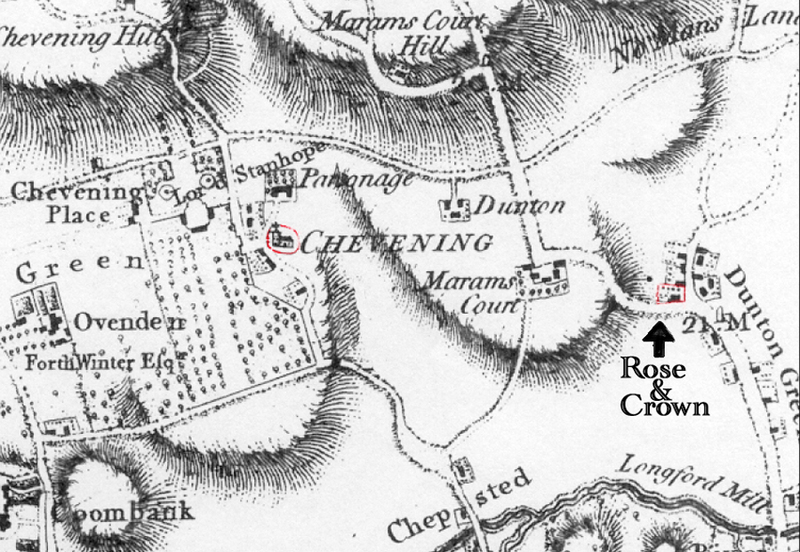 We have highlighted both the church and the Rose and Crown at Dunton Green where the Musgroves were living at the time.